In another attempt to provide reassurance that the government is still interested in bringing the Ganga back to life, the Ministry of Water Resources, River Development and Ganga Rejuvenation (MoWR) conducted the Indo-European Water Forum on November 23-24 in New Delhi. 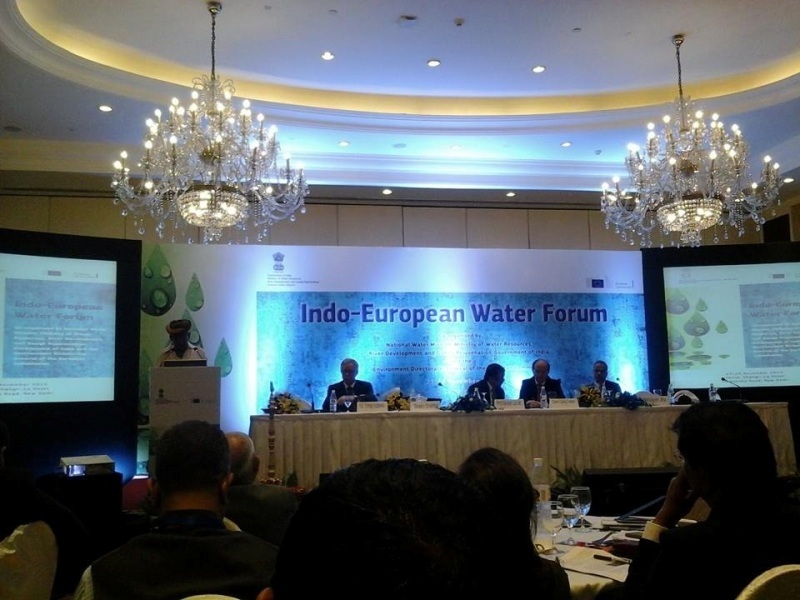 The National Water Mission under the ministry co-partnered with the Environment Directorate-General of the European Commission for the event. The forum focused on water governance and legislations, river basin management, water scarcity and ecological aspects of water management. Detailed discussions were held on research, innovation and business solutions to challenges. The event was attended by director general of the Environment Directorate-General of the European Commission as well as diplomats, senior officers from Central ministries, state governments and union territories and other international organisations. MoWR spoke about the issues facing the Ganga, upcoming projects and ways to revive the river. Additional Director Puskal Upadhyay of the National Mission for Clean Ganga said that the present government has allotted huge funds to the project. The ministry, according to Upadhyay, is planning 100 per cent sewerage in 118 towns along the Ganga basin. He also said they are working on river front development in seven cities and river surface cleaning. There was, however, no discussion on projects implemented in the last one year of the new government. The second day of the forum was also more about the problems than the solutions. For instance, chairperson of Central Groundwater Board, K B Biswas, described the state of groundwater in the Ganga basin. But none of the stakeholders suggested a strategy to solve the issue. The ministry instead extended an open invitation to all European countries to come forward with solutions. The government has been criticised on several occasions for arranging such big events and making no major intervention on the ground. The Ganga Action Plan has failed to take off because it is not a holistic plan, say experts. Cleaning of the Ganga may be top priority for the government, but with no concrete direction in sight, it seems we will have to wait long for a clean and healthy river.